There are 2 shops proposing this game for download at an average price of $ 5.78. We found the best promotion ongoing with a discount of 7%. 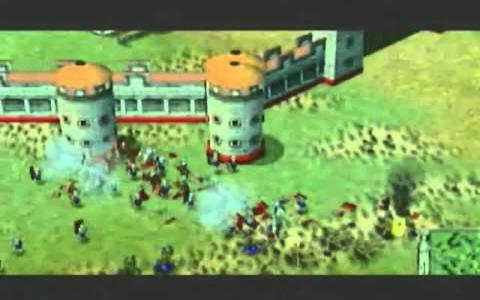 The original Empire Earth was a decent enough slice of Civilization- or Age of Empires-style strategy gaming which offered enough twists on the genre to make it worthy of some investigation for fans. If you're interested in checking it out, then this Gold Edition is probably the best way of doing so as it throws together the original game with The Art of Conquest add-on to create a well-rounded package. If you have played the Age of Empires games, you'll feel right at home here and the game uses a familiar perspective and interface, while many of the gameplay mechanics are also similar. The four campaigns in the first game take you through several periods of history, including Ancient Greece, WWI and WWII and even into the future of 2025 and with some of the missions even including more adventure style segments on top of the strategy. The Art of Conquest adds in three further campaigns, covering Ancient Rome, the Pacific theatre of war in WWII and Asia in the 24th century, with each civilization also gaining new powers, buildings or units. When the two games are combined you have a pair of pretty engaging strategy sims that cover just about every period in history that you could hope for and which provide a solid gaming experience. There's nothing staggeringly original here but it's all put together well enough, with effective visuals, an accessible interface and responsive control system, so there's not really a lot to complain about. If you're looking for your next empire building game after having completed Civilization, you could do worse than this package.